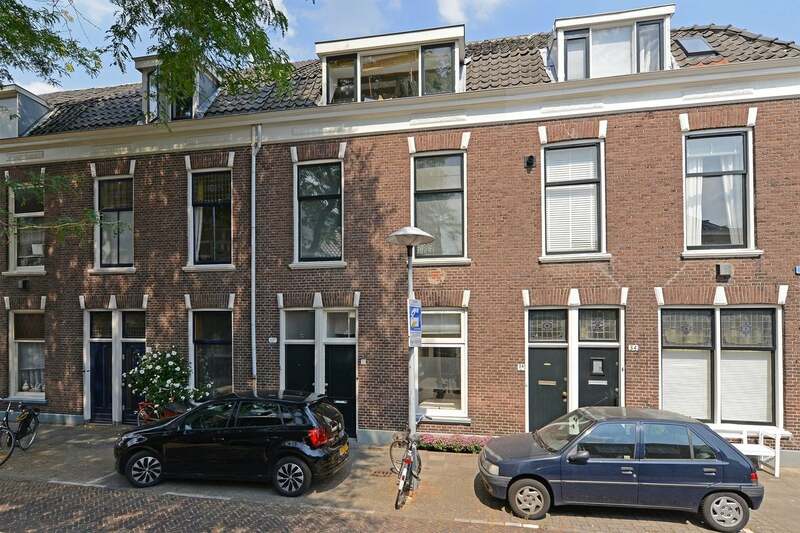 You will find this characteristic ground floor apartment with city garden in the popular district of Oudwijk. The location is convenient, behind the Burgemeester Reigerstraat with shops, restaurants and a supermarket and near the Wilhelminapark. The center is a few minutes' walk, Utrecht Central Station is 10 minutes by bike. Entrance. Fuse box. Staircase. Bathroom with shower, sink, toilet and washing machine connection. The living room and bedroom is an 'en suite' room with the bedroom at the front. At the rear is the living room with fireplace and semi-open kitchen. The kitchen is equipped with an oven, gas hob and extractor hood. From the kitchen there is access to the city garden. The house has a beautiful wooden floor and double glazing.